China is a world leader in renewable energy with ambitious goals for low-carbon energy generation, earning it a three-year run at the top of EY’s renewable energy country attractiveness index. The avenues for commercial and industrial (C&I) organizations to procure renewable energy in China have been limited but are developing. In our previous post with Seeder Energy, we discussed the exciting and immediate opportunity for onsite solar in China. Today, we will cover the emerging opportunities for companies to procure offsite renewables in China. Renewable energy certificates (RECs) are currently the easiest and most accessible way for companies to purchase renewable energy in China. Companies have the choice of either buying into the Chinese government REC market or purchasing from a collection of international REC programs, such as I-RECs, to address their Chinese electricity load. China opened a national green energy certificate market in July of 2017, and as of June 2018, 244,000 wind RECs and 67,160 solar RECs were sold. The goal of the program is to use RECs to encourage an additional revenue stream for clean energy developers, so they can reduce their reliance on government subsidies. Though the mechanism is available, there is no consensus that purchasing government RECs is the best approach. Many companies defer to other methods because RECs from the national program are derived from existing renewable energy projects and are priced higher than international options that are now available. International RECs are available at a much lower cost, and they typically follow the generally accepted U.S. or European reporting standards. The greatest challenge companies face in making this decision is that RECs through international programs are not explicitly endorsed by the Chinese national system. Despite the lack of an official government endorsement, the international community generally accepts and remains confident in this practice for addressing load in China. For example, in 2017, Microsoft, Lenovo, Philips, Goldman Sachs and Steelcase all reported I-REC purchases to CDP to address Chinese operational emissions while others such as Interface, Novo-Nordisk, and TetraPak have purchased GoldPower in the past. 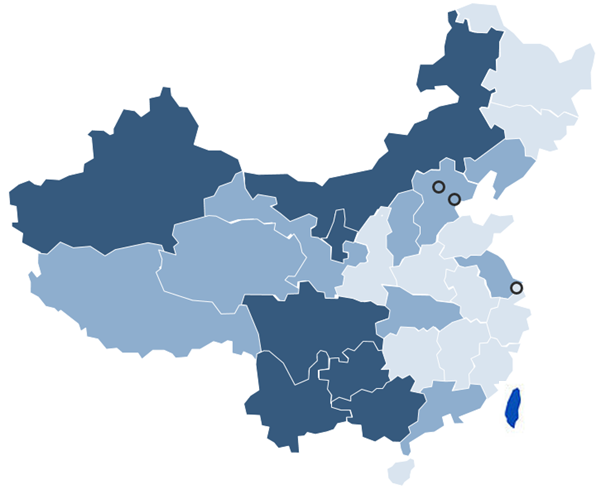 Direct (also known as retail-sleeved) renewable PPAs are the mechanism that much of the renewable energy community is working to achieve to advance corporate renewables in China, help reduce curtailment and possibly provide better project economics to developers and cheaper electricity for offtakers. The third being especially important, as feed-in tariffs and subsidies have been decreasing or delayed entirely. Direct deals involve signing an offsite PPA with a renewable energy developer or independent power producer (IPP) and power retail company, via the provincial power exchanges, with physical power transmitted through the grid (paying a wheeling fee) to the offtaker’s facilities. Companies signing direct PPAs can receive the environmental attributes associated with their renewable generation to use toward carbon-reduction and renewable energy goals. These bilateral contracts can be a straight-forward, low-risk way to claim renewable power, but opportunity identification and contract negotiation require time, market knowledge, policy support and good local relationships. In China, direct renewable transactions are still in the piloting stage. State Grid-run power exchanges in provinces where there is renewable energy overcapacity have begun to allow renewable energy to be traded directly. In those provinces, large industrial users can set up a direct PPA between a renewable energy generator and the power exchange. These deals typically lock in a 1-year term to power their facility with renewable energy (typically hydro or wind). To be able to enter the power exchanges, industrial energy consumers must meet minimum load requirements which differ by province with the average being around 10 GWh per year. Offtakers may be subject to penalties if they do not reach the threshold for their minimum purchase requirements each year. Recently, inter-provincial renewable energy trading has become possible for power companies (private enterprises not yet participating) in eastern provinces to buy renewable energy from producers in western provinces where renewable energy is over-supplied (see Figure 1). In 2017, the Beijing Power Exchange traded 37 billion MWh of inter-provincial renewable energy (wind, solar and hydro), accounting for 47 percent of energy traded between provinces in that year. Those in the Shandong province, on the government’s cross provincial high voltage transmission line buyer’s list, were able to buy wind power from the Shanxi province at the beginning of this year. These transactions typically become possible during the first quarter of every year. By the beginning of 2019, we expect that direct PPA transactions will be available at a much wider scale. In addition to power companies, private enterprises may be able to purchase renewable energy directly from renewable energy producers both inter-provincially and intra-provincially soon. 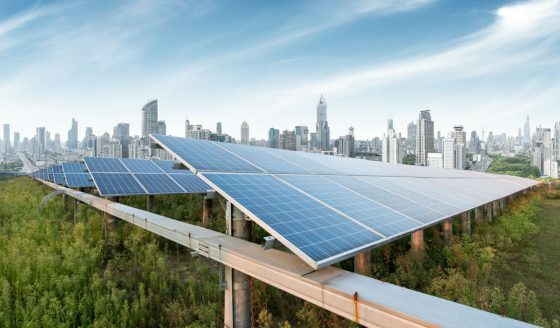 For example, on July 18th, the National Development and Reform Commission (NDRC) announced its plan to encourage direct renewable energy PPA transactions for medium size end-users which connect to the grid at 10kV or above (previously this has only been open to 35kV and over). It is expected that several government pilot projects will be announced in the second half of 2018, and direct PPA transactions will be available in more provinces. In the meantime, interested C&I offtakers are encouraged to begin feasibility assessments, engage with grid operators and developers in China and get to know the market dynamics so they can be ready to transact once the opportunity becomes viable in their region. Organizations that generate more electricity than is needed for their operations will export excess power to the grid and receive the low wholesale power price. The concept of selling this excess to a neighbor would allow the generator to charge a higher rate than the grid exporting rate, but the purchasing entity would still pay a lower rate than the retail price at which they would normally buy electricity from the grid. The downside for a generator is that they would have to relinquish their subsidy to trade electricity locally. To make economic sense, rate negotiations need to compensate the generator for this loss of the subsidy or for new projects if they are unable to get the subsidy. This option is likely to become a more common practice in the next two years. The NDRC has approved several trading pilot projects that allow the selling of electricity to neighbors under strict policies. Neighbors are required to be in the same transmission line as the generating entity, and the maximum voltage range must be less than 35 kV. Though this option is quite new, it is certainly something for companies to keep in mind for the near future. Progressive companies have been experimenting with investing directly in both distributed generation and utility-scale renewable energy projects in China. 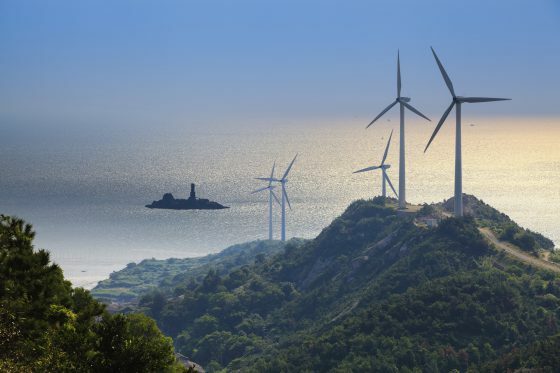 A CAPEX or direct investment deal involves partnering with a developer to become a minority shareholder of a renewable energy project in exchange for the legal claim of the environmental attributes of the project. These investments generally see attractive returns of 8%-10% for distributed generation and 6%-8% or lower for utility-scale generation. When proper due diligence is done, and projects are vetted correctly, these investments carry fairly low risk. With a CAPEX investment, companies can right-size a deal to match their load, and this structure provides many companies a unique opportunity to utilize cash reserves in China while meeting carbon-reduction goals. Apple has publicly announced its CAPEX investments into four wind projects and 200 MW of solar projects in China, partnering with suppliers to install more than 2 GW of new clean energy. This includes the recent announcement of a $300 million dollar fund to invest alongside their supplier to help them meet their renewable energy commitments. These projects not only help the company reach their ambitious global renewable energy goals, but also to further green their supply chain. Interested in learning more? Download our summary chart for offsite renewable opportunities in China, with additional indicative pricing included. The article is also posted on Schneider Perspective Blog.